New Delhi: The Delhi High Court asked the AAP government to respond to a plea seeking directions for installation of CCTV cameras and deputing of security guards at all government hospitals under its jurisdiction. 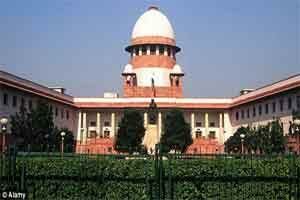 A bench of Chief Justice G Rohini and Justice Sangita Dhingra Sehgal issued notices to the authorities concerned on the plea by a former staff nurse who alleged that she was stalked by a patient in the hospital where she worked and this would not have happened if CCTV cameras had been installed. The court said that the the response should be filed by July 12. In her plea filed through advocate Rajesh Sharma, she said that an FIR was registered against the accused in connection with the case. The petitioner said that the authorities should be directed to take steps towards providing security to women staff working in government hospitals, dispensaries and other health institutions, organisations and mohalla clinics here. The bench asked the government, the corporation under whose jurisdiction the incident took place and police to place before it whether there is any mechanism in hospitals to check or stop such crimes against women. It asked the authorities concerned to file an affidavit informing it whether there is any mandate for installation of CCTV in hospitals and dispensaries of Delhi. “The authorities concerned are responsible for installing CCTV cameras in all hospitals, but they failed to do so,” the plea said. The nurse also claimed in her plea that Delhi Chief Minister Arvind Kejriwal in his poll manifesto had committed to work for security and safety of women in Delhi by way of installing CCTV cameras and private guards, but after becoming chief minister he failed to act in this direction.